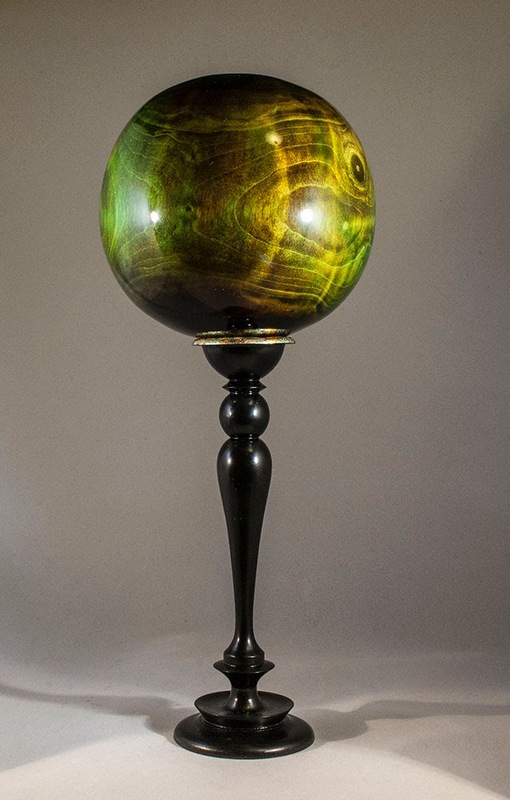 Out of the Trees - Artistic Woodturnings: What's it for? The ubiquitous question whenever something decorative but practically useless is on display at a craft table, it's not an unreasonable question, but does betray a slight lack of imagination. The best response I have heard of late though is Pete Moncrieff-Jury's "To enhance your living space". Perfect! With that in mind I wonder who would consider their living space enhanced by this next oddity? 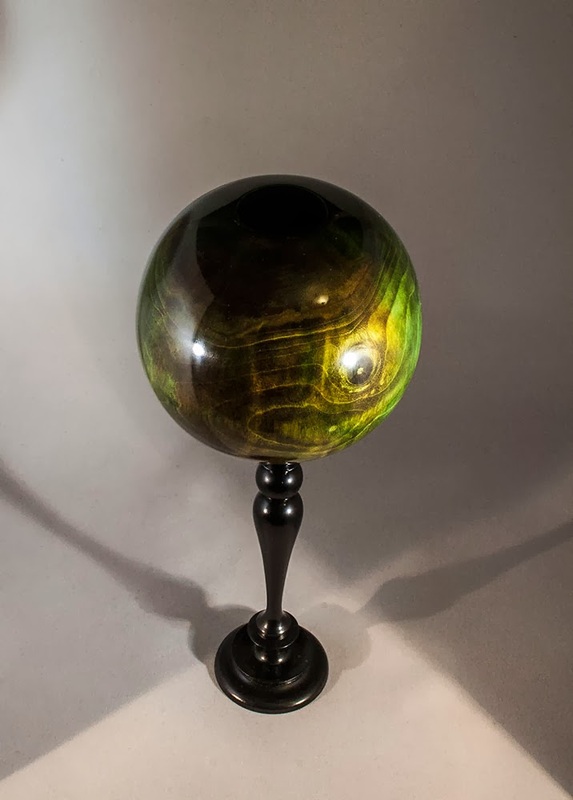 This is a hollow sphere (I use the term somewhat loosely!) balanced upon a tall pedestal which has a metal leaf finish in the small support bowl. 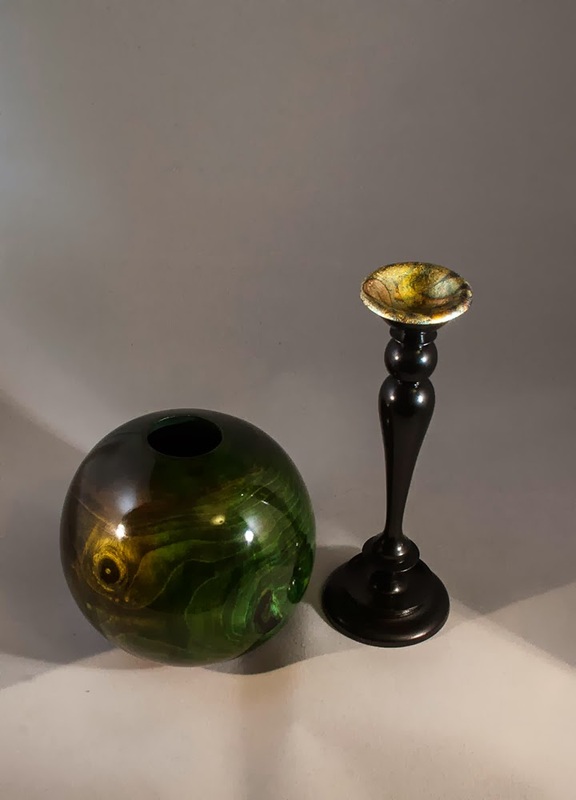 Both items are in Sycamore, the stand is ebonized with black lacquer. 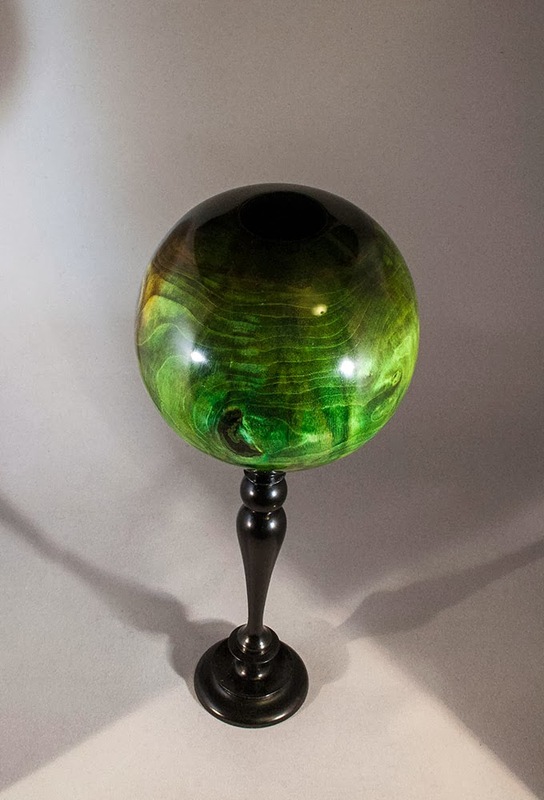 The sphere is also lacquered.